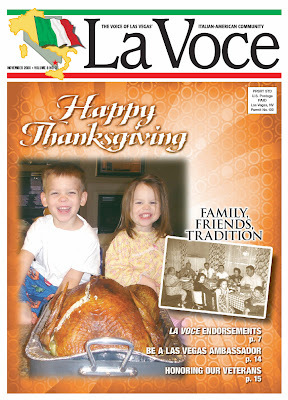 The November issue of La Voce has been out in print for a while, but I am happy to announce that it is now available for viewing online. There's a couple of cute kids on the cover, and the articles inside aren't half bad either! Take a look at my latest article about Thanksgiving, "A Miracle In Your Mouth" under the tab "Mamma Mia!" Or you can directly access my article by clicking here.